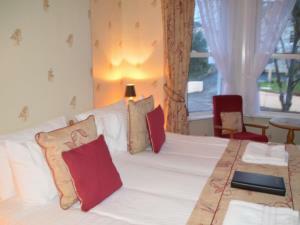 Standard Double Room - Multi-night Discount - Book a stay of two nights or more and receive £12 off per room per night. Not available with any other offers or discounts. Grosvenor House Torquay sometimes limits bookings to 2 or more days. We have two double rooms, one located on the ground floor and the other on the first floor. They comprises a standard double bed, bedside cabinets, wardrobe and desk/dressing table. There is a small seating area for guests comfort. 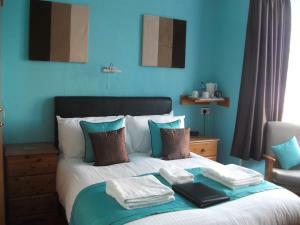 All rooms have flat screen TV, fan, tea and coffee making facilities and welcome toiletries. Prices are per room per night, for a minimum 2 night stay.